Building a multi-disciplinary team to support Qualification and/or Validation of new or modified facilities, systems and processes has become a cGMP expectation of the FDA and many other regulatory agencies in ICH markets. Carrying out these activities across all stages of a product lifecycle –– from research and development, through to manufacture and distribution, or throughout a period of change –– continues to be one of the top challenges for pharmaceutical, medical device, diagnostic, and other FDA-regulated life science companies. 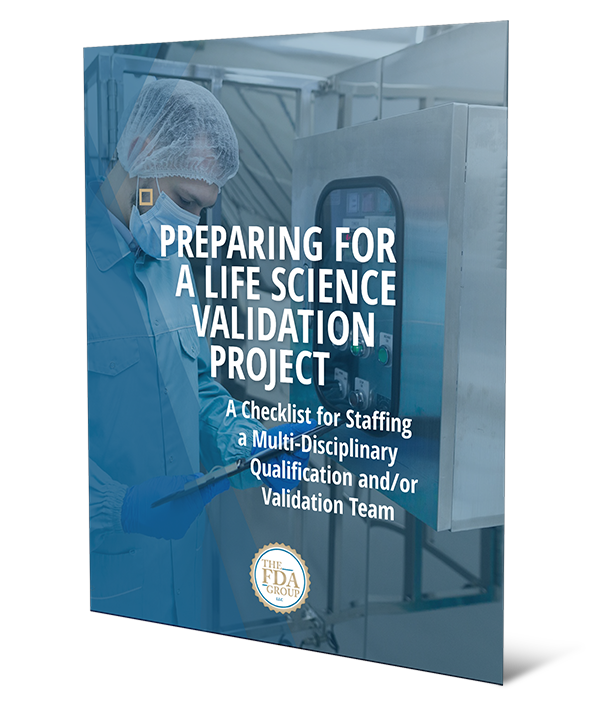 This guide will help you overcome these challenges and save valuable time locating and evaluating Validation specialists who can see your program through to success on time and on budget. We’ve broken down the significant qualities and abilities to look for in a quality candidate and compiled them into an easy checklist. While each project brings unique needs, this guide can serve as a helpful resource for identifying the most important traits in a specialist based on the needs you face.